While the broadening world of streaming has no doubt turned many away from hoarding Blu-rays and DVDs, I’m of the belief that physical media will never die, and it’s stellar sets like this that enforce my stance. 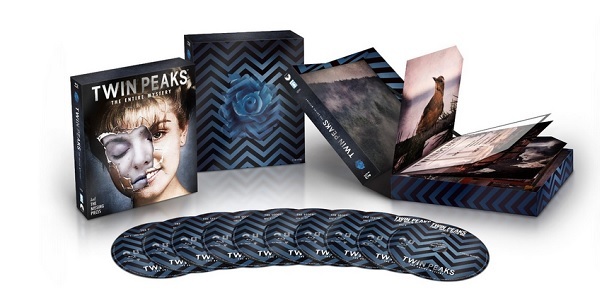 Fans of David Lynch‘s cult mystery series Twin Peaks are finally getting their long-awaited day in the high-definition sun, as the massive Twin Peaks: The Entire Mystery 10-disc Blu-ray set will fire walk into stores on July 29, and it is definitely the most definitive collection we’ll ever get our hands on. At least until Lynch, who personally oversaw this set’s creation, and co-creator Mark Frost finally agree to make a completely disparate third season. 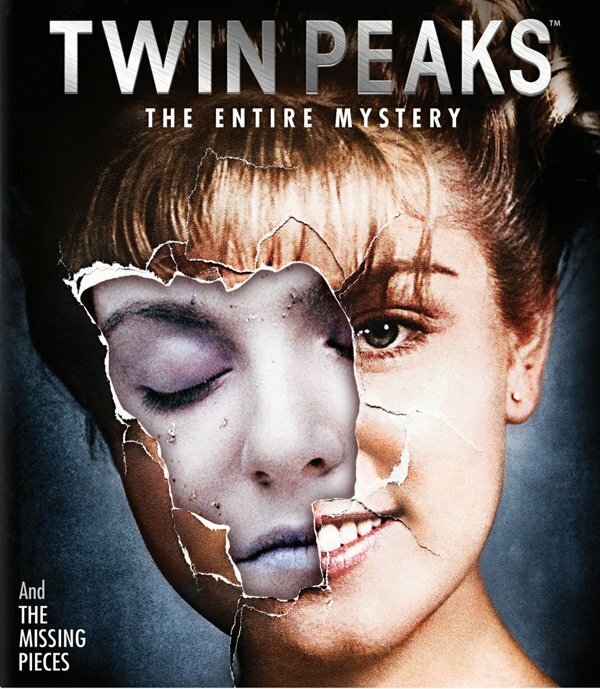 Airing for two seasons on ABC from 1990-1991, Twin Peaks unleashed upon the world the strangest town in America, mostly through the death of teenager Laura Palmer (Sheryl Lee); things did manage to get even weirder once that storyline was completed, but it wasn’t quite the same show. In any case, all 30 episodes are obviously included in full 1080p with 7.1 DTS-HD Master Audio. But the real kicker here is the Blu-ray debut of Lynch’s 1992 prequel feature Twin Peaks: Fire Walk With Me, which will be accompanied by almost 90 hi-def minutes of never-before-seen deleted and alternate scenes. Twin Peaks fans have been clamoring for those lost scenes ever since their existence became public knowledge. (The footage’s public release was petitioned, people!) And there are a BOB-load more exclusive features in this set as well. But first, take a (twin) peek at some of that deleted footage in the clip below. While it doesn’t look like there will be a supercut of Fire Walk With Me incorporating the extra footage, you just know one will pop up online in the days following this release. Other film extras include the all-new retrospective “Moving Through Time: Fire Walk With Me Memories,” a new photo gallery, and archival interviews. You can pre-order the set on Amazon here and soon relive one of the most original shows that TV has ever had to offer, even after all the attempts to copycat the Lynchian vibe. Remember Happy Town? Me either, mostly. 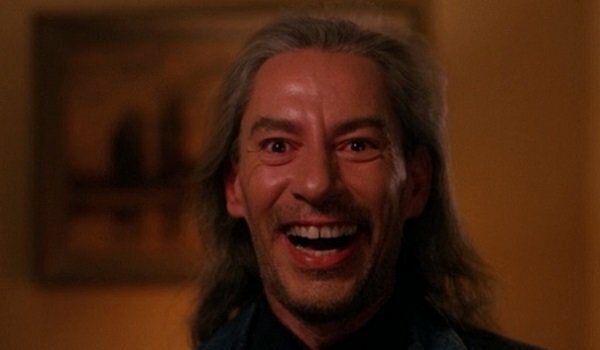 Now grab your favorite log and pore over a full rundown of the features that Twin Peaks: The Entire Mystery is bringing to the table. - A Slice of Lynch: Uncut (HD) – NEW! - Series Deleted Scenes (HD) – NEW! - Outtakes (HD) – NEW! • The Missing Pieces: Deleted/Alternate Scenes (HD) – NEW! - Between Two Worlds (HD) – NEW! - Moving Through Time: Fire Walk With Me Memories (HD) – NEW! - Fire Walk With Me Photo Gallery – NEW! - Atmospherics (HD) – NEW!